Piet Oudolf, influential landscape architect and innovative garden designer, has often been reported in the international media. He has written many books on flowers and plants, in collaboration with experts like Henk Gerritsen and Michael King, and several of these works are used as study material in universities. His most recent book, "Planting a new Perspective", was published in 2013. His next book, entitled "30 Jaar Oudolf Hummelo", which looks back on his 30 years of pioneering work in the beautiful little village of Hummelo in the east of the Netherlands, is due to appear in March 2015. He is also to be the subject of a documentary in the near future. He has recently won two prestigious prizes for his whole oeuvre, the Prince Bernhard Culture Prize in 2013 and the Rotterdam Maaskant Prize in 2014. The jury that chose him for the latter award praised him "for the passion and single-mindedness with which he has explored the possibilities and boundaries of landscape architecture for the past thirty-five years". Piet Oudolf was one of the founders of the company Future Plants, whose mission is to select, breed, cultivate and where appropriate to patent plants that are useful in landscape architecture, with special reference to public spaces. Seventy-year-old Piet Oudolf, the most famous garden and landscape designer in the Netherlands and with a reputation that extends far beyond the borders of his native land, chooses his words carefully when he looks back on a glorious, colourful career, his love of the beauty of nature and his passion for flowers and plants. The friendly, white-haired "Master Plantsman", as he has been called in the English-language media, has given the world of garden architecture a new dimension through his daring experimental compositions and choices of new varieties. He has worked on revolutionary naturalistic projects at home and abroad, driven by his certainty that is was time to do things differently. He has designed gardens, parks and landscapes like paintings all over the world, from the Dream Park in Enköping near Stockholm in 1996 to the Millennium Garden in Pensthorpe in the English county of Norfolk in 2000 and the Biennale in Venice in 2010. "In all American projects I worked together with local landscape architects, who were responsible for the overall design," says Piet Oudolf. "For example, James Corner Field Operations was the lead landscape architect for the High Line project; my task there was to design the planting." Among his most impressive exploits are the Gardens of Remembrance close to Ground Zero in New York near Battery Park, on which Piet Oudolf has worked for years, and, as mentioned abover, the High Line Park, also in New York, a 2.3 kilometre long linear park with a view of the Hudson River created on a disused elevated section of the New York Central railway running through Manhattan. 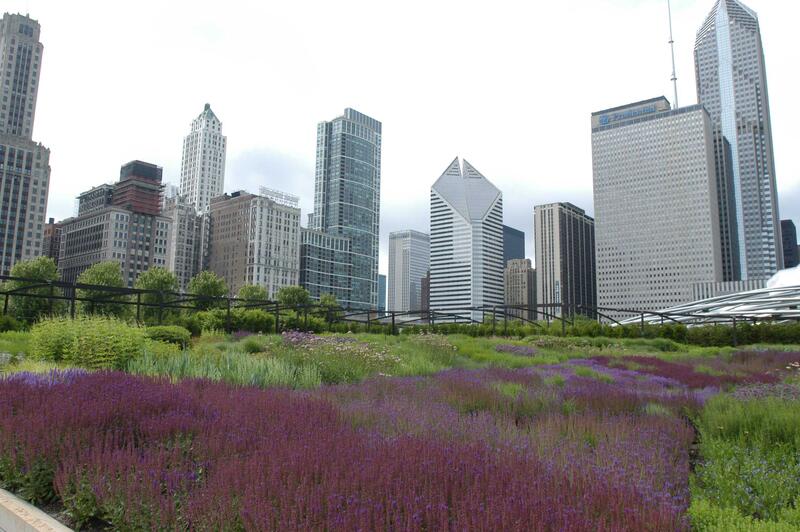 The Lurie Garden in Chicoago's Millennium Park, where he was responsible for the planting in cooperation with Kathryn Gustafson and Robert Israel, also played a significant part in his career. Looking back on the years when he worked on all these impressive projects, Piet Oudolf muses, "An awful lot was happening then. Everything was extremely interesting, and everything was equally important, seen in retrospect. It was a time of international breakthrough - especially in England, the home of gardens. As a result of the long tradition of Victorian gardens, English gardens tended to focus on the short natural life of flowers. When the flowering period was over, they simply used to replace the plants. But I wanted to make gardens that stayed in bloom all winter. I wanted one flowering plant to succeed another in the gardens I designed, I wanted the gardens to develop. And in fact, England was the first country to respond to my ideas, to see them as something new and important." "I was a young man with a strong will of my own. I knew I was capable of more than that." Despite his pride in the two prizes has has received for his whole oeuvre and the other national and international awards he has won, Piet Oudolf still has both feet firmly on the ground. Together with his wife Anja, he has been collecting and breeding ornamental grasses and other plants in the nursery next to their farm De Koesterd in the little village of Hummelo. But he does not want to be known as an expert on ornamental grasses ("A botanist is an expert; I see myself as someone with a good knowledge of grasses"). He would prefer to be regarded as "a pioneer in the combination of grasses with flowering plants". Piet Oudolf is now an international guru in the world of garden architecture, but when he was 26 he was still unsure what he wanted to do in life - but he was not keen on the idea of going on working in his parents' restaurant. "I enjoyed cooking at home, but I was a stubborn young man and I knew that I was capable of more than that - I just didn't know exactly what. I'm sure that many people are faced with that problem." Piet Oudolf and his two brothers grew up in Bloemendaal, a prosperous community on the edge of the dunes near Haarlem in the west of the country. His father ran a small restaurant with a bar attached in Bloemendaal, while his grandparents had a café in Haarlem. Piet met his wife-to-be Anja in his father's restaurant when he was 26. He continued to work for his father, and for other catering establishments in Amsterdam till around this time, but he was never really happy in his work. He realized that he had no desire to spend all his life working in restaurants, and he started looking around for other opportunities. When he happened to find employment in a garden centre, the flowers and plants seemed to smile at him in welcome, and he blossomed in response. "That was where my love of plants started to grow. I recognized that this was an environment in which I could express myself. It was a slow process: you start collecting plants, you enjoy it, and different things you can do with the plants occur to you. I worked for a few gardeners at this time, and the last one allowed me to design gardens myself. It occurred to me that I would like to set up a business myself in this field. So when I was about 25 I went back to school to get the necessary business qualifications and in 1975, when I was 31, I established myself as a garden designer in Haarlem. I married Anja the same year. She was mad about gardens too, so it didn't take long for the two of us to become obsessed with every aspect of horticulture. We visited countless gardens and gardening enthusiasts, and started collecting plants." The Millennium Garden, part of Pensthorpe Natural Park in Fakenham Norfolk (UK). The garden consists of a mix of permanent plants and ornamental grasses, such as Molinia and Deschampsia. "I wanted to cultivate unusual plants. You can't create a good garden with uninteresting plants." In 1981 Piet and Anja Oudolf decided to move from Haarlem to the little village of Hummelo in the east of the country, to give their business more room to expand. "We were doing very well in Haarlem, designing gardens for offices and individual houses," explains Piet, "but our home base was simply too small for the big plans we had in mind. I had started building up a big plant collection, and you need space for that. So in 1981 we decided to buy an old, run-down farm in Hummelo. It would take an enormous amount of work to get the whole place in good running order, so to start off with we set up a nursery next to the farm where we could grow plants and try out garden designs. I wanted to breed unusual plants, and I had ideas about garden development I wanted to try out in practice. It was a steep learning curve. I regard plants as instruments I can use to express myself. The way they flower is not the only meaningful thing about them, but their whole structure and character. Plants without character are no good in a garden. They have to offer something extra. If they only flower for a few weeks in the year and have no interesting features that enliven the garden the rest of the time, they're just taking up valuable space without contributing anything. A garden needs to be beautiful all year round, with a face that changes from season to season, and you need plants with character for that. You could say that the architecture, the personality of a plant is just as important as the flowers it produces." 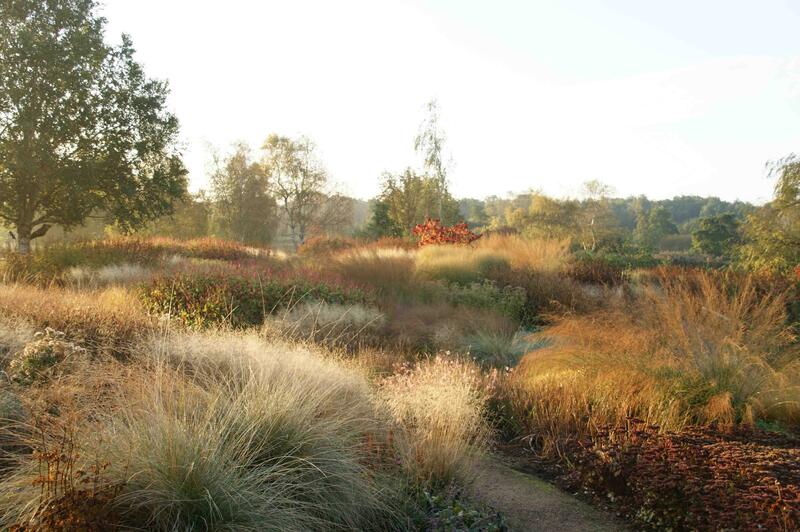 Piet Oudolf's model garden in Hummelo presents a magnificent array of colours - the poetry of nature. "You need to ensure that the plants you put in your garden combine harmoniously with one another," says Piet Oudolf. "We learned a lot from our experiments in the nursery." Piet and Anja's gardening business flourished in the new environment. For the first 4½ years, they ran the nursery together with a third partner, Romke van der Kaa. "Our paths diverged at a certain point, and Anja took over the management of the nursery. We also laid out an experimental garden on part of our land round about that time, to study the behaviour of various plants. The model garden that was open to the public came later. We had been breeding a wide variety of ornamental grasses in the preceding years. We collected plants from all over Europe, and got botanical gardens to send us specimens. Southern Europe, in particular the former Yugoslavia, was one of our favourite hunting grounds. We would collect rare plants up in the mountains, and see whether we could get them to flourish back home in our nursery. We popularised a lot of lesser known plants, and took out patents on some of them. There are still a few classics we introduced in this way, such as Astrantia Roma." "We made extensive use of our experimental garden, unlike most landscape architects. Some small landscape architecture consultants do focus on plants, but most concentrate on other aspects, such as infrastructure, architecture and form rather than on plant behaviour, so they don't get the same experience of plants we have had. They sit in their offices, and even at weekends they don't have the time to get their hands dirty messing around with plants. Most landscape architects regard a plant or a tree as a shape or an image that is placed in the setting of the landscape. They rarely consider how long it takes for the plant or tree to grow, to become established. I do think about how plants develop over time, and I try to take that into account in my plans." 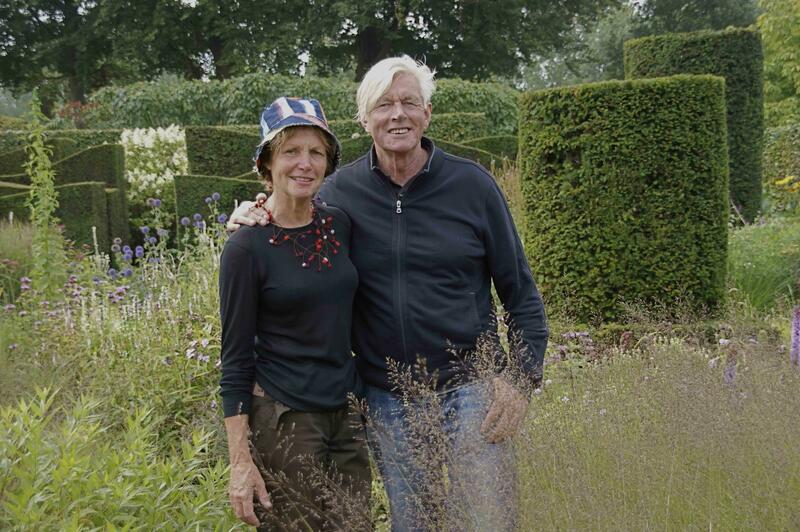 In fact, Anja and Piet Oudolf have now shut down their nursery because its management was too time-consuming, and they needed the time to concentrate on other matters. Philosophising with like-minded spirits: "We wanted to develop a new approach, to get away from the idea of creating beauty from a book. That was too static; we needed to introduce a dynamic aspect into gardening." Piet Oudolf spent a lot of time in that period philosophising with like-minded garden designers such as Henk Gerritsen and Rob Leopold - both deceased. The latter wrote a book about blue flowers. "Dutch gardeners were very keen in English gardens then," says Piet Oudolf, "but we were looking for something different. We spent a lot of time discussing what the beauty of plants is really based on. Are they only attractive when they are in flower, or can they have a different kind of beauty when they are in seed, when they have lost all their leaves in the winter, or even when they are lying flat on the ground? We took a close look at gardens, especially in their more dormant periods, to determine what makes them look good when all the flowers, and even many of the leaves, have disappeared. This requires quite a different, unconventional approach to garden design. Of course, you want gardens, and the plants they are made up of, to be beautiful, but we were looking for a different kind of beauty, not one you can get out of a book or by following guidelines. We wanted a natural kind of beauty, not artificial beauty." 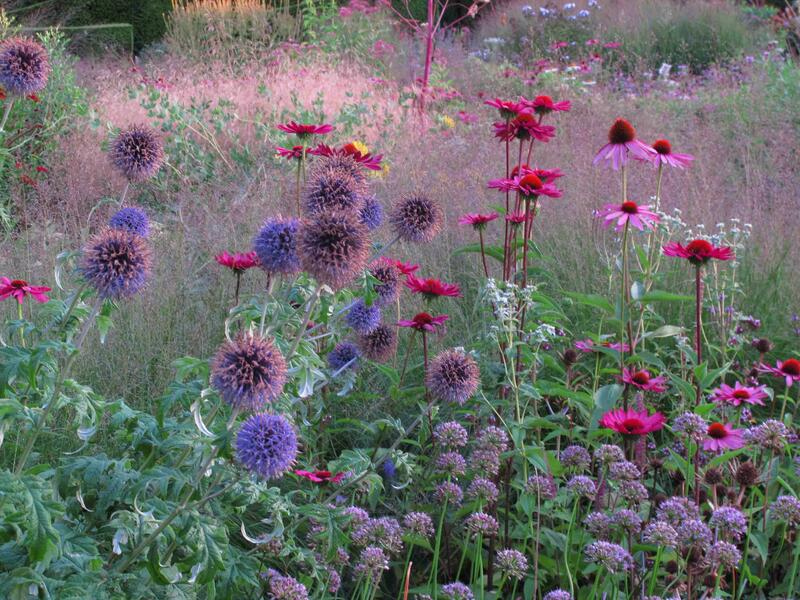 It was this line of thought that led to Piet Oudolf's experimental, natural garden designs. "You need to give plants the chance to develop in line with their own nature, to make use of their architectural aspects. And apart from that, we wanted to use plants with a long life that were resistant to disease and could flourish in the habitat where they were planted." In 2010, the Architecture section of the Venice Biennale invited Piet Oudolf to lay out a garden on the Arsenale exhibition site, a cluster of former shipyards and armouries in the old city. He was visibly honoured by this request: "It was a unique experience for a garden designer to be asked to play a part in such a prestigious exhibition devoted to architecture. It had only happened once before, but that was more of a landscaping job - while they wanted me to make a real garden with a variety of plants. The design I submitted was something quite unusual - revolutionary, even. It won a special award, and the garden stayed there for three years. I was very pleased with the reception it got. It was quite an exceptional experience for garden lovers in that part of the world, since people in northern Italy are not used to the plant palette I work with. Besides, the visitors were mainly interested in architecture, and many had never seen a garden like that before. It was located at a very attractive spot in the Arsenale, tucked away in the background with a lovely view of the water. This sparked off a new phase of my work, emboying a whole range of exciting projects." The Gardens of Remembrance, Battery Park, New York. 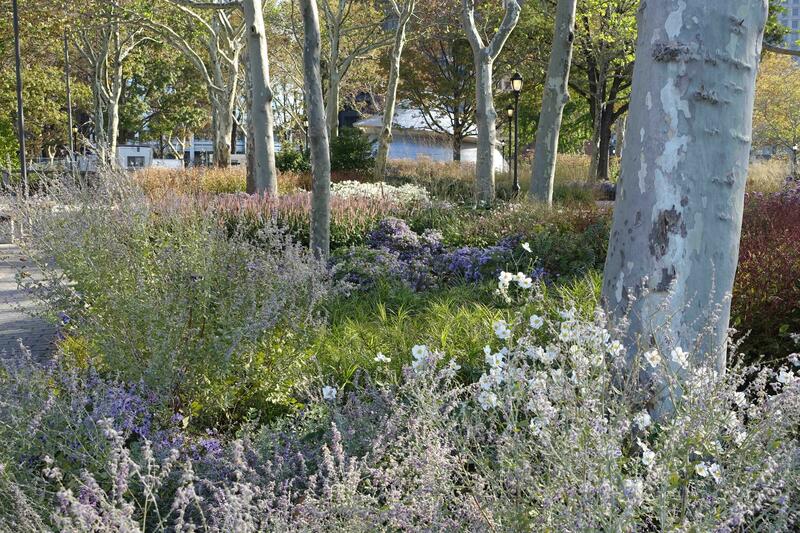 Looking back on his long career of experimentation, innovation and pushing boundaries, Piet Oudolf picks out the Gardens of Remembrance in New York's Battery Park near Ground Zero, the site of the deadly attack on the Twin Towers, as one of his most meaningful projects. The gardens pay tribute to those who died on 11 September 2001, the survivors of the attack and all those who will visit the site in years to come in search of renewed optimism and hope. Planted with flowering perennials and native grasses, they offer stunning beauty throughout all four seasons and contribute to the sustainability of the park's landscape. Replacing the yearly installation of new plant material by the nuturing of plants that return stronger each succeeding year echoes the resilience of the Battery and all New Yorkers. "This was a very important project," says Piet Oudolf, "since this site so near Ground Zero has become a place of pilgrimage for those wishing to remember their loved ones and to reflect on the enormity of the attack on American culture. Moreover, New York is the spot where 17th-century Dutch settlers founded New Amsterdam, which gives it added resonance for me as a present-day Dutchman. I was already working on the Lurie Garden in Chicago when I got a fax asking whether I would like to create the Gardens of Remembrance as the first phase of a grand plan for renovation of Battery Park, which had fallen into decline over the years. We planted the Gardens of Remembrance in 2003 and have been busy on and off since then with the other phases of the renovation plan, which is now nearly complete. I was responsible for all the planting work in consultation with a landscape architect who had drawn up the master plan and the overall structural plan. It seemed to me that the objective had to be to create a spot that was beautiful and welcoming, where visitors could find healing and strength as they remembered their loved ones they had lost. It was by no means easy to translate these emotional objectives into a garden design, but I believe that the gardens we have created, looking out over the Hudson River, do indeed offer visitors beauty and peace. The strong perennial plant cover we have chosen inculcates feelings of strength, endurance and above all a positive spirit in those who spend time in these surroundings." Most of Piet Oudolf's key projects have been in England and America, where his fame has spread to such an extent that he is sometimes recognised on the street. Apart from those mentioned above, reference should be made to two other projects that formed important milestones on his career path. These are the Hortus Conclusus (enclosed garden), a garden within a garden designed by the Swiss architect Peter Zumthor and planted by Piet Oudolf that offered visitors to the exhibition at the Serpentine Gallery in London in 2011 space for peaceful contemplation; and the landscaped garden designed in 2014 for Hauser and Wirth's new art gallery in Bruton, Somerset. The first exhibition of Piet's own drawings and design sketches, entitled "Open Field" was held last year. Sources of inspiration: "I think I know what I like." Where does this Dutch master gardener find nourishment for his great love of nature? Piet Oudolf reflects quietly when this question is put to him. "It can be anything I come across, anything that touches me. I think I know what I like. In fact, I can discover reservoirs of beauty in anything: art, architecture, unspoiled landscapes - even something as simple as a well-designed lamp. Beauty lies all around us, you just have to notice it. You can't simply say 'I love art, that's why I'm an artist.' That's too facile, and it's not the only factor. I'm interested in a lot of things, but there are more things that leave me cold." "Piet works in a very intuitive way. He plants as an artist paints." Filmmaker Tom Piper has produced a documentary on Piet Oudolf and his work, entitled: "Piet Oudolf: Fall, Winter, Spring, Summer, Fall", which is due to appear shortly. It throws a clear light on this energetic artist and businessman, who discovered early on in life that he had gardening blood in his veins, but who wanted to do much more than just make "pretty gardens" and has become a leading light for ambitious gardeners all round the world. A short fragment of this documentary may be seen above.